When it comes to the best footwear you say athletic footwear. When it comes to the best footwear your boss says work footwear. Guess what? You both can be on the money with these Reebok Men's Blue RB1825 Ketee EH Reflective Athletic Steel Toe Shoes. These are made ... (see full details) (see specifications) #RBKRB1825. When it comes to the best footwear you say athletic footwear. When it comes to the best footwear your boss says work footwear. Guess what? You both can be on the money with these Reebok Men's Blue RB1825 Ketee EH Reflective Athletic Steel Toe Shoes. These are made with the style and comfort of an athletic shoe and the safety of a work shoe. Rebook athletic cross trainers are made with a combination of leather and mesh. The leather of the uppers of these Reebok shoes is durable and water-resistant, while the mesh is lightweight and breathable. Ketee athletic trainers are sharp with their blue uppers with silver and grey trim. Inside, the mesh lining allows for air flow to create a foot cooling system when you wear these steel toe shoes. For added comfort, there is a removable EVA cushion insert with sponge rubber heel wedge and an EVA cushion midsole. Eva is soft, light, and flexible making this men's footwear super comfy. The dual-density outsole of these safety toe shoes has a rubber bottom that is chemical-, abrasion-, and slip-resistant. To protect feet against impact and compression is the steel toe cap design of these EH shoes. An electrical hazard rating means that these are made with soles and heels that are non-conductive and protect the wearer when accidental contact that’s made by stepping on live electrical wires. In case your boss is wondering, these Reebok shoes meet ASTM F2413-11. Rebbok Ketee’s have several special features. The 100% non-metallic design makes this work footwear great for jobs where security checkpoints are an issue. With no exposed metal on the uppers to prevent scratching and scuffing and these meet any work place scratch-resistant requirements. Reflective piping under the mesh gives these work shoes night-time visibility. No one has to be wrong with a pair of athletic shoes that are so right like these Reebok Blue RB1825 Ketee EH Reflective Athletic Steel Toe Men's Shoes. 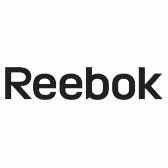 Reebok Shoes: Men's Blue RB1825 Ketee EH Reflective Athletic Steel Toe Shoes is being added to your cart.